I don't know what Willie is singing about, but the music sounds nice. This one goes out to my wife, Lorie. I miss you and the kids, especially since they started school while I'm on the road. To borrow the phrase from Willie Nelson, I am on the road again...to Sausalito. I intend to live blog the Sausalito Art Festival, which means I will try to write you a post a day. This year, the festival has cranked back the schedule, allowing me some breathing room to post. Artists sometimes spend 12 hours in their booths during event days, and that doesn't count the set-up day or days, which are brutal. Sounds like a reality show premise, huh? Today I left home in eastern Washington, and traveled through the Columbia River Gorge. Since I follow Celeste Bergin's blog, I knew she would be at the Columbia Center in Hood River, Oregon and I made it a point to stop by. They are receiving paintings created en pein air - many during this week's plein air event in the gorge. I also got to meet Celeste's husband, David, who is the photographing this event. I enjoyed picking his brain about digital tasks. They will probably post the pictures taken of Celeste and I, to prove that bloggers do meet sometimes in real life. The four or five oil paintings that Celeste will show make this exhibit well worth your visit. Her works are very uninhibited, and make me want to take up the oil medium. 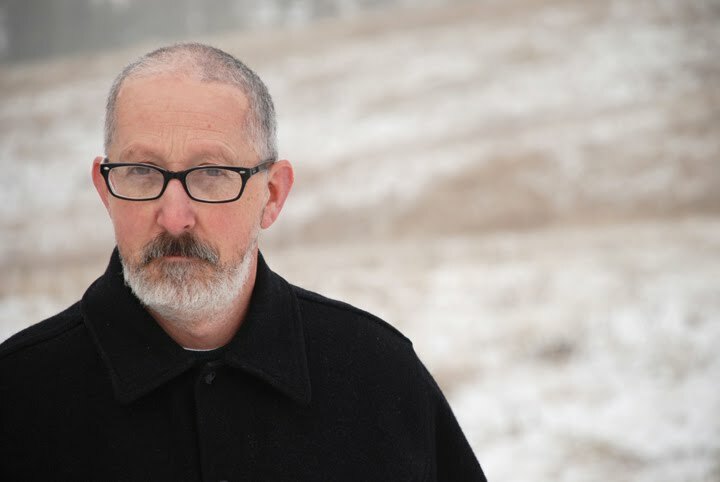 I met an artist at the gallery of whom I am a big fan: Eric Bowman. He is humble, and I really admire his ease of expression in the landscape. He is very talented: Eric Bowman. Cathleen Rehfeld is a friend of Celeste's. 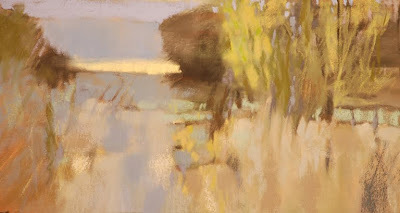 Her plein air oils of the gorge are inspiring, and they earned my "blue ribbon" rating. Judges take notice. She blogs here. I am on the 5 in Oregon, and am taking a few days to get to the bay area and Sausalito. Stay tuned for more updates as I live blog on the road. Preview: you might get to see your author in his tuxedo on Friday. Woo hooo. Need more country music for the road trip? I thought so. The Highwaymen Live. When will the wheat be ready for harvest? Which path should I walk? What will today bring? Eastern Washington has tremendous beauty. Much of it is on the grand scale typical of the American west. Here is where immense dry coulees (cliff-rich basalt formations that bookmark dry valleys), deserts, the irrigated Columbia Basin, the Columbia River Gorge, vast orchards, and some of the richest wheat lands anywhere, all take your breath away. This image isn't of the grand scale, or the Hudson River School genre, as Deborah Paris likes to say. But it hints of that. What peeks through those trees? What will I find in the next field over? What events await tomorrow? These are some questions I think of when I look at this painting. Let Zane regale you again, this time with a frightening pyre. He is my school chum from long ago. Zane - The Quantum Poetizer. I'll be camping out for the next few days. Here is a campfire tale for you. A classic, to be sure. This is my opportunity to share the fan mail that has graced my e-mail in box and the comments at this blog recently. Here is where I give public thanks for these, and for all of the readers of The Colorist. I only mention the names of those I feel won't mind. At the risk of embarrassing myself, I share these kind words. "I don't know you, and it's been YEARS since I had any lesson in art. I just wanted to say I read and view your blog and art daily and am truly thankful for all that you do. You keep me going. Thank you, Casey." "Thanks for all the inspiration and sharing thoughts about your creative process on your blog, it's a treat to read!" "I love your Winter Light! Good luck with the exhibition." "(...)liked your blog, and love your work. Such beautiful color and abstractions." Thank you for your link to Roger Scruton's video on Beauty. I am currently drafting a catalog essay on the nature of joy and it is refreshing and delightful to hear how clearly he frames his argument. By the way I have enjoyed your work & blogs for some time now. Please keep up the good work. A comment from Katherine A. Cartwright to 100 Things I Love About Art: "101. Casey Klahn!" "Congratulations Casey on your new blog. 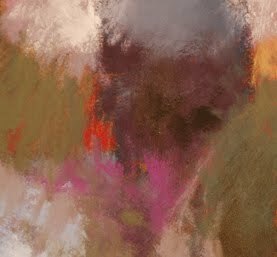 I have been following both (T)he Colorist and your Pastel blog for a number of years now and wanted to thank you for the incredible amount of information you offer up to your readers. 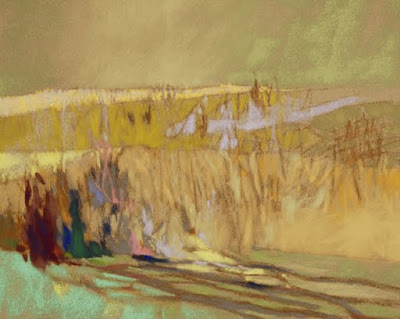 It was your blogs that inspired me to fan the flame of my passion for the pastel medium and colorist painting. I was able to use much of the information for the creation of Canada's first and only pastel specialty shop, Pastel Studio Canada. In the spring I met Diane Townsend at her home in PA, and this November Isabelle Roche will be visiting the shop. Our future looks bright and I wish the same for you. 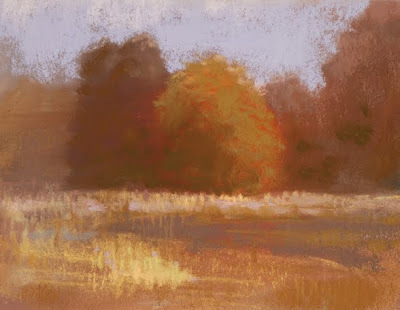 This image has been updated, which means that it is the formal, high quality photo of this original pastel. I go into this detail, because there are, believe it or not, people who don't discriminate between photos and paintings. Example: the lady who walked into my art fair booth this summer and declared, "you've been hitting the Photoshop pretty hard on these!" No, steam did not come from my ears, but I did laugh to myself. As long as we persevere with painting, we will have to continue educating the public on what we are doing. You are owed another update of my studio activities. First, pour yourself a cup of coffee. The studio is a buzz with framing for my upcoming show in California, the Sausalito Art Festival. I'm a little unsure of the number, but I may have around 35 - 40 originals for my upcoming exhibitions. Have another cup? Dark roast, I hope. For some unknown reason my statistics at The Colorist have gone ballistic. Almost quadrupled on the best days. Much of this uptick is hits to this page. I cannot figure it out. Other recent posts include 100 Things I Love About Art, and When Bloggers Meet. Daily posting of miniature pastels, as well as an occasional medium sized work, is now going on at The Colorist Daily. This is the time to buy a small work under $100. My search for gallery space and exhibitions may be yielding some fruit soon. I'll keep you posted when dates are firmed up. 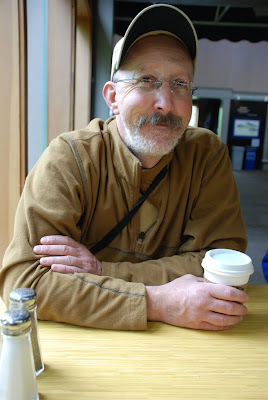 The Hoquiam River exhibition is penciled in for September 2011. On the easels, I am developing my voice as a figure artist by studying the masters. Da Vinci and Degas are my current muses. I often post those at Pastel, but you may see some here, soon. 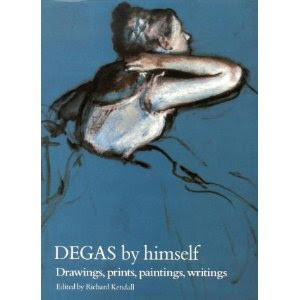 Two books I am reading are: Master Class in Figure Drawing and Degas, By Himself. Hale's classic instruction in Master Class has me drawing various parts of anatomy an area at a time. I am learning more stuff about the rib cage than I ever thought existed. My Nurse Practitioner wife brought home a medical anatomy book as reference material, too. 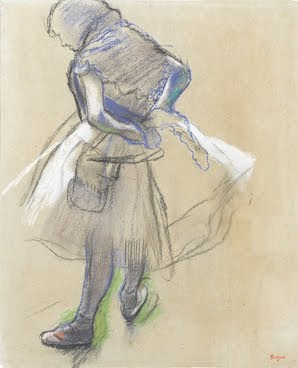 I continue to thrill at the works of Edgar Degas. His familiarity with proportion and anatomy are only the beginning. I never realized how much he departs from the real before. All because his gestures, forms and movement are so believable. The book - mine is published by Barnes & Noble Books - is richly illustrated, has a woven binding and nice, heavyweight paper. Lovely. Finally, in the subject of figures, our blogger friend Astrid Volquardsen, has posted one of her recent figure paintings: Eva in the Bath. Well worth your look. Why a hundred things? Because it is an interesting exercise in editing. These are not listed in any order. This is my personal favorite from my new miniature series. See these new works posted at The Colorist Daily. Feel free to Follow Me via the tool at the bottom of the blog.